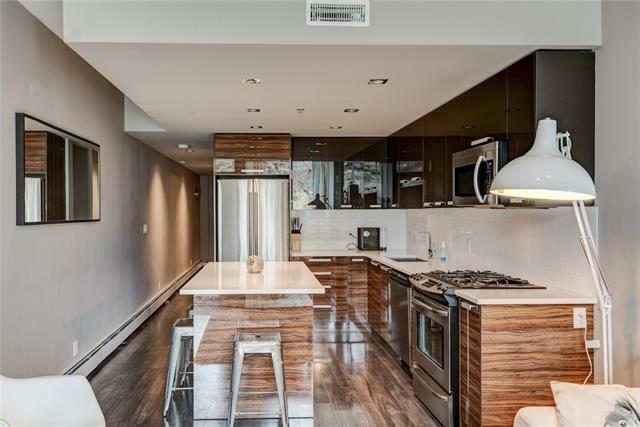 *OPEN HOUSE APRIL 14th, 12-2PM* Just what you've been waiting for! 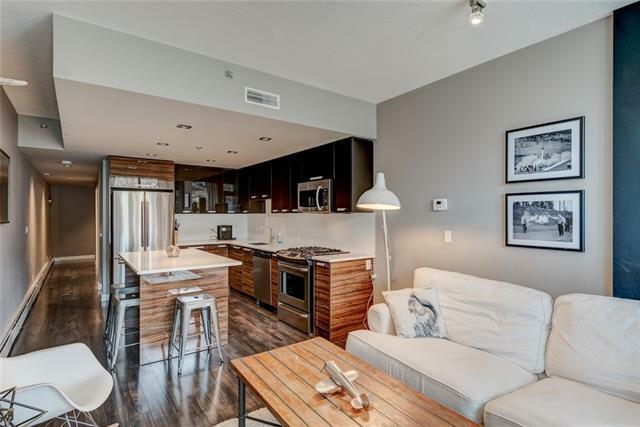 This executive style end unit offers 9 foot ceiling, hardwood floors, stainless steel appliances, communal rooftop patio, open concept kitchen/ living area with generous island, coupled with sleek modern finishes including quartz counters and neutral paint throughout. 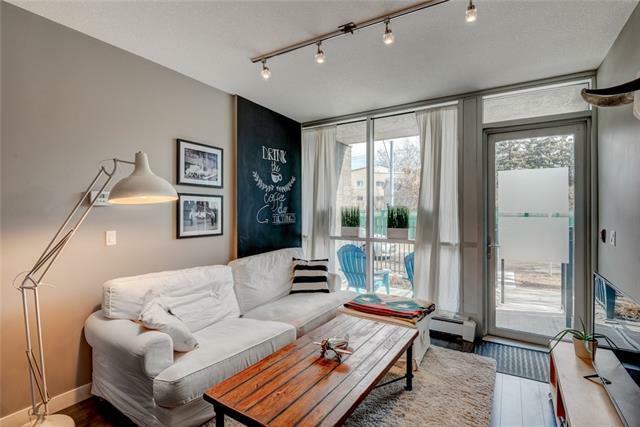 This two bedroom, two bathroom unit is complimented with 2 heated titled parking stalls and a titled storage locker. 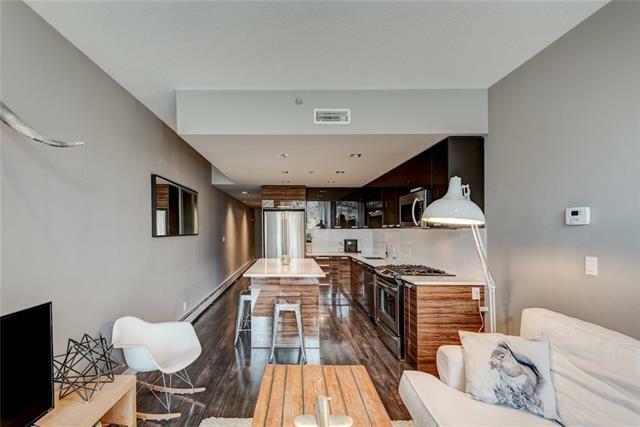 Located in the heart of Kensington' 950 metres from Sunnyside C-Train station this beautiful condo is walking distance to Eau Claire, Princess Island Park, East Village, Riley Park, SAIT, cafes, grocery stores, trendy shops, restaurants, and all downtown Calgary has to offer. Breathtaking fantastic view of the downtown skyline and Bow river is worth every penny while enjoying it from your own outdoor balcony!